Carters Get Rich is a British 30 minute scripted family television series, which kicked off on March 31, 2017, on Sky 1 and is broadcast every Friday at 20:00. The show is currently in its 1st season. 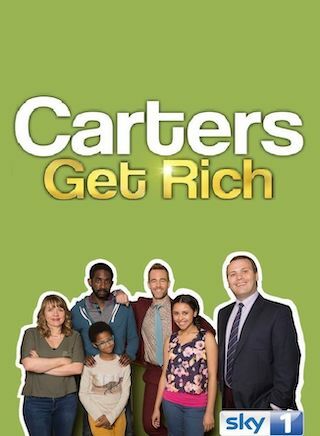 Sky 1 is yet to announce the renewal of Carters Get Rich for Season 2 as well as its cancelation. Sign up to track down the show's status and its release date. When 11 year old Harry Carter creates the dating app Honc, little did he didn't realise was that it would become the next big social networking app and that it's be bought by a US billionaire, turning his family into instant millionaires.